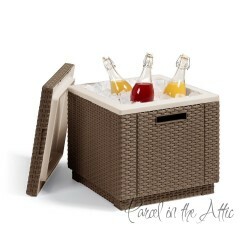 Enjoy a chilled drink at any time with Our Rattan Effect Cool box. An ingeniously designed versatile, table and cool box constructed from stylish, woven rattan-style resin fabric with an insulated lining, it is perfect for the garden, patio or conservatory. 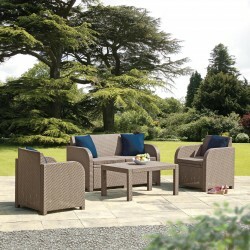 Also ideal as a footstool, it is an essential complement to our furniture range of outdoor and conservatory furniture. 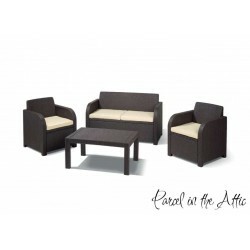 Rattan-style weather and UV-resistant, colourfast construction. 3 Year guarantee. Will not rust, unravel or fray.